Lifesize understands the power of connecting people to make the workplace great & better place. 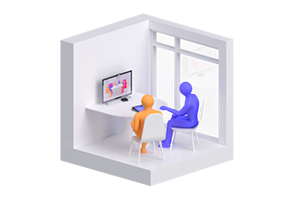 They have been at the forefront of video conferencing and collaboration solutions, delivering high-quality solutions designed to bring people together. 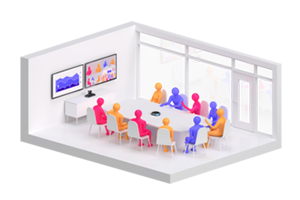 Lifesize combines a best-in-class, cloud-based video conferencing experience with award-winning, easy-to-use cameras and HD phones that are designed for any conference or huddle room. 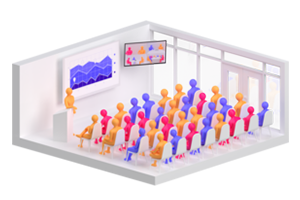 Lifesize had been at the forefront of video collaboration delivering high-quality technology designed to bring people together. Our focus is on developing market-leading products that deliver easy-to-use and scalable audio, web and video conferencing. Lifesize combines an integrated and best-in-class cloud-based video conferencing experience, with award-winning, easy-to-use HD camera systems and HD phones so that you can connect to anyone, anywhere. Tiny rooms prime for productivity. Spaces needing a perfectly simple solution. Conference rooms that require best-in-class quality. You know, the big room where flexibility matters. Our professional audio and video conferencing equipment is engineered to give you an amazing meeting experience. Setup is plug and play, controls are intuitive and the user experience is unmatched. Get your team started on Lifesize today !